With its unrivalled reputation for service, quality and value for money, Scotframe, the Inverurie-headquartered timber engineering business, is accustomed to clients seeking out its services from places much further afield than its Scottish manufacturing bases. But recent contracts have taken the UK’s leading full kit manufacturer to pastures remarkably new – more than 8000 miles away on the windswept Falkland Islands in the distant reaches of the South Atlantic Ocean. Scotframe has not only supplied a new extension to the school in Port Stanley, the islands’ administrative centre, it has supplied kits for 30 new homes on Sapper Hill on the remote British Overseas Territory. The company is now in the process of shipping another 30 kits to the islands and will be tendering for future housing, as many as 150 homes, on the Sapper Hill estate once ongoing infrastructure works are completed. 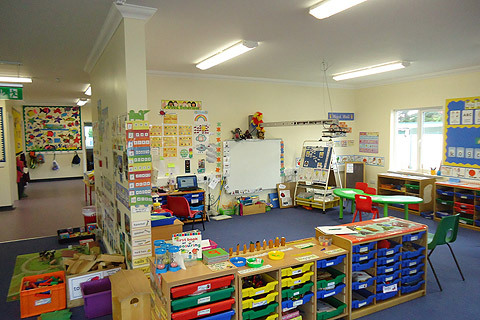 A spokesperson for Morrison Construction/Galliford Try – which, through its standalone subsidiary Morrison Falklands Ltd is overseeing the schools and homes projects – said: “With the school extension, Scotframe supplied the full kit for a new classroom, a kitchen and a boiler room. It provided everything, down to tables and chairs, kitchen fittings and sanitary units. The school stands behind the hospital and the government buildings in Port Stanley, which experienced fierce fighting when the islands were invaded by Argentina in 1982 and subsequently retaken by a British task force. The spokesperson said: “Scotframe originally shipped 20 kits for the Sapper Hill development and was asked to provide another 10. These homes are now up and occupied. The kits supplied by Scotframe provide the structure for a series of two- and three-bedroom semi-detached homes as well as for apartment blocks of four homes and four-house terraces. “When the orders were placed with Scotframe, the timescales were very tight and the company responded extremely professionally. It was certainly the best value for money of all the providers we looked at.